Spring is here! Watching Mother Nature come back to life inspires many to partake in spring cleaning rituals. Have you ever thought about spring cleaning your business and financial statements? Don’t know where to start? Read on and I’ll share 6 simple steps to spring clean your QuickBooks bookkeeping records. Now’s a great time to pull a P&L (Profit & Loss Statement) and go through your expenses with a fine tooth comb. You’re looking for services you no longer need and products you can trim back on for the upcoming year. Start with subscription services you signed up for but no longer use. Review the advertisements that you’ve been running for several years. Are you still getting the same return on investment for those ads? Do they need to be tweaked, cut, or revised? Review your phone and internet pricing. Most phone companies offer discounted pricing for signing up for a 2-3 year agreement. Don’t forget to reach out to your insurance broker to ensure you’re getting the best deal and coverage for your current business operations. Now’s a great time to review your account receivables report. 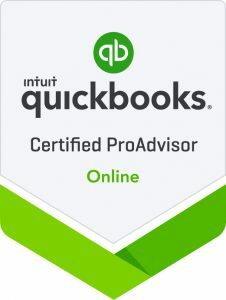 When we bring on new clients, this is one of the first places we start with our QuickBooks Online cleanup services. Print an accounts receivable report report from QuickBooks. What do you see? Are there clients who are paid in full, but still show up on your report? What about clients that have a credit balance with you that needs to be refunded? What about old receivables (3+ years old) that you will probably never collect? I know it’s painful, but let’s write those off your books. Don’t forget to apply open credit memos against open invoices and clean up those $0.25 underpayment balances. Once you are done with your spring cleaning, your A/R report will accurately reflect what your customers owe. When finished with your spring cleaning, send statements to those customers with outstanding balances. It’s a great way to bring some cash in the door and collect on those open receivables. What do you see when you pull an Accounts Payable report from QuickBooks? Does your accounts payable report show credits that you forgot to take against bills? Perhaps you can call the vendor and ask for a refund. What about vendors who show open bills that are paid in full? Are there vendors on this list that you can setup on automatic bill pay? The automation not only saves money on late fees, but also saves you time and stamp costs! Maybe during this process you’ll realize it’s time to consider outsourcing your accounts payable functions. Let’s be honest. When was the last time you reviewed your fixed assets? That’s what I thought, never… This isn’t a fun one, but is rewarding when this spring clean up project is done. Start with an easy one, automobiles. Are there trucks and vans listed on your balance sheet that your business no longer owns? Next, tackle computers. I’m guessing there are a few 10 year old computers on this list that have been replaced with new technology. What about that old copy machine, fax machines, and that outdated couch from your lobby that was replaced with fancy leather chairs last year. This can be a tricky cleanup to tackle on your own. Feel free to reach out to your accountant. They will be able to help you prepare the accounting entries to remove the dinosaur computers and furniture from your fixed assets. Next time you reconcile your bank accounts, take a look at the open items. Are there old checks from 1+ years ago that have never cleared your account? What about deposits that never cleared (more often than not, these deposits were accidentally double posted). 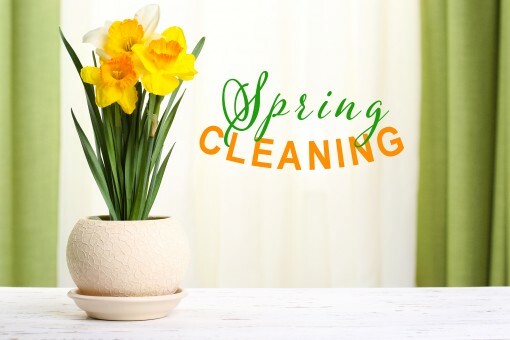 This is a great place to look for some spring cleaning items! Remember that budget you created in Jan as part of your New Years resolutions? Have you looked at it recently? Not to worry, now is a great time to update the budget with your 1st Quarter actual financial results. Now you can review your budget vs actual and make any adjustments to the future budget based on what you’ve leaved from the first quarter. After you tackle these 6 spring cleaning tasks, your QuickBooks Online bookkeeping will be in much better shape! Your spring cleaning efforts will be rewarded with better and more accurate financial information to help run your business! Need help spring cleaning your QuickBooks file? Reach out, QuickBooks cleanups is one of our specialties!